The Colquitt County newspaper noticed the EPA questions to FERC about the Sabal Trail fracked methane pipeline, and even got sort of a response out of Sabal Trail. One issue raised by EPA is whether laying a new, 36-inch pipeline in proximity to a 10-inch pipeline built in the 1950s would present a danger to the public. 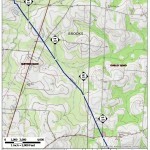 The alternate route that would take the pipeline through the heart of Colquitt County would for some of its path run parallel to the old iron pipeline. We own a plot of land on Spain Lane in Brooks Co GA. My issue is that no matter what is logical, SPECTER, seems to be very narrow minded and due to eminent domain they do not seem to under stand that there proposal will devalue the already encumbered property (Sonat gas line and an electric easement) to the point that the property will be virtually worthless. The Solutions below are reasonable and should be considered. Emailed to Dan Miller Spectra. I have had a the opportunity to look over your recent proposal on the pipeline route. It looks a bit chaotic. Although it solve one problem, it creates several others. Your recent problem now runs pipe helter schelter all over the remaining property. I have attached a map and a description of a proposal that I think would solve all of our problems. James & Tracy Ryder, Tallahassee, FL. 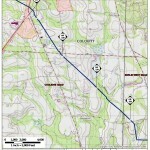 We have been contacted by Sabal Trail Transmission, LLC regarding their proposed natural gas pipeline. In their contacts with us, they requested permission to survey our property in reference to one of the proposed corridors since we are already encumbered with the SONAT pipeline that run through the middle of our property. We were told that we should sign the consent because they would use eminent domain to access our property against our will if need be. In a public meeting we were told they were putting in a 24″ line that would provide gas to mid and south Florida. We have later learned that they are intending to put in a 36″ line that would not serve Florida, but would provide for exports from Florida. Sabal Trail has not been providing accurate, or clear information to the public regarding these pipeline endeavors. When we asked about alternate corridors, we were told they would not consider the alternate corridor that was originally proposed due to the fact that there were many people impacted.